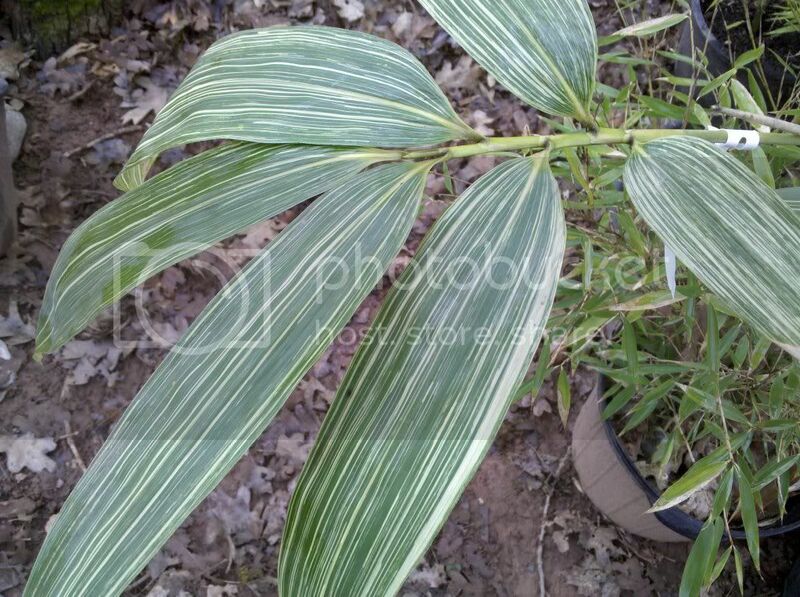 One of our favorite bamboos, the white pinstriped variegation on this bamboo is spectacular. It is a smaller bamboo, reaching a maximum of 10' tall, however, it is usally shorter, and can be kept much shorter by cutting it to the ground in late winter. Sasa kurilensis 'Simofuri' is thought to originate from an island near Japan. it enjoys shade, and really brightens up a bland area. It has large tropical looking leaves, and its spring shoots are quite beautiful!